It can light up, play stories and help out with homework. First there was Alexa, Siri, Cortana and the Google Assistant. Now you can prepare to add Aristotle to that growing list of voice-enabled assistants. Mattel's cheerful AI companion differs from the competition by focusing on children, first and foremost. 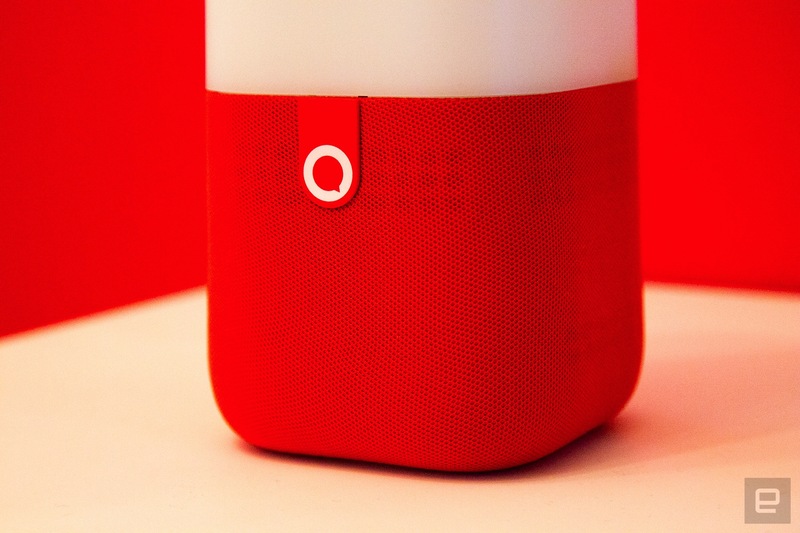 It's been packaged inside a smart speaker (what else?) and promises to understand your little one's vocal ramblings, all the way from toddler to middle school. That's a bold promise, given most of the current offerings struggle with even the most eloquent adults. Mattel says it's solved the problem with a custom AI engine, which uses a mixture of "natural language processing" to learn your child's enunciation. In a quiet hotel room here in Las Vegas where CES is taking place, Mattel's team took me through some common scenarios. At first, Aristotle will serve as a smart baby monitor, leveraging a companion camera to stream live video to your phone. Inside the app, you'll be able to set up exactly how the system should react to your child's mid-night wailing. It can play some soothing sounds, a custom radio station or a piece of relaxing white noise. The device can also illuminate in one of many different colors, similar to a night light. Parents can even use the system to log when they're changing diapers, and ask Aristotle to order new ones when they're running low. As your child grows older, Aristotle will adapt and offer new services. It can tell bedtime stories and play basic spelling games for toddlers. When they're a youngster, it can help them with homework by retrieving information from the web. The speaker includes some basic games too, which can be used just for fun or to teach kids important skills. Aristotle, as its name suggests, is supposed to be the descendent of the famous Greek philosopher. She sounds like a chipper twenty-something, though occasionally sounds like Microsoft's Cortana. This is because Microsoft is indeed helping out with some of the platform's smarts: Aristotle has a finite bank of stock phrases, while Cortana can say almost anything by stringing together individual words and sentences. At the end of the demonstration, I tried talking to Aristotle. Unfortunately, it was maddeningly slow and inconsistent. On my first attempt, I had to say "Aristotle" three times before it acknowledged me. I then said "story time" to trigger a short audiobook, and managed to activate it once in the space of five minutes. Not promising, to say the least. Mattel blamed the hotel room's weak Wi-Fi connection, and I suggested that it could be my strange British accent. Regardless, the final product will need to do better to understand an emotional or impatient pre-schooler. The company has until June, when the speaker and camera combo kit goes on sale for $300.